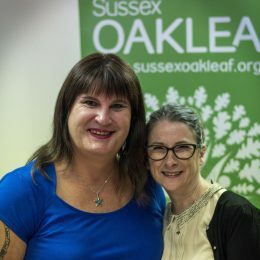 “We were extremely pleased Sophie accepted our invitation to appear as the keynote speaker at the Sussex Oakleaf annual conference. Sophie captivated the audience right from the start with her passionate, funny and often emotional talk. Sophie spoke honestly about her personal battle with mental health and her inspirational story of coming out as a trans woman.